/Buying A Car /Used Cars / Do Lemon Laws Cover Used Cars? 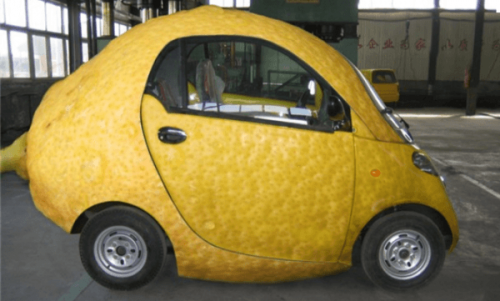 Have you ever wondered how lemon laws work when buying a used car? Laws in place, called “lemon laws” protect car buyers from “bad” cars — but these usually protect new car buyers. The catch is, it is way more common to get stuck with a bad used car than new one. A faulty used car is more likely to leave you stranded, cost more to fix, and they tend to turn into a never-ending money pit. What’s even worse is that owner’s of lemon cars still have to make car payments while their car is giving them all these problems. Clauses built into the sales contract you signed at the dealer site protects them from ending up in court most of the time. Many of these cars are even dangerous to drive or become inoperable, leaving many consumers in the lurch. There are laws that protect the consumer if the vehicle sold fraudulently. This means the sale happened under false pretenses, the dealer misrepresented the title, or someone messed with the odometer. Often, these dealers prey on the most vulnerable, low-income segment of the population. Here’s the breakdown. Because so many consumers have been taken advantage of when it comes to used cars, some states have begun the push towards tougher laws. Yet, only a handful of states have solid lemon laws on the books. States with solid lemon laws are: Connecticut, Massachusetts, Minnesota, New Jersey, New Mexico, and New York. If you live in one of these states, you’re better protected when buying a used car. The dealer has to offer a used vehicle warranty that’s based on the age/mileage of the car. If the vehicle has problems during the warranty period of the warranty, it’s up to the dealer to repair them. If after several tires, the car isn’t fixed, they must fix the car or offer the customer a refund. In seven other states, there are laws to protect the consumers’ rights, mandate used vehicle warranties, or set a standard for the used cars. If you live in Arizona, Connecticut, Illinois, Maine, Nevada, New Mexico, or Pennsylvania, you are likely covered. If you live in states like North Carolina, you might be protected if your car is sold to you using deceptive practices. In more specific situations, like when you buy from a buy-here, pay-here lot, the dealer must offer a 30-day/1,000 mile warranty. Laws like this are on the books when you buy used cars in states like California. Check here for more information about specific laws in your state. Unless you live in a state with clear intentions about lemon laws, you are in jeopardy of dealing with an expensive headache. Here are some easy ways to lower the odds of getting stuck with a lemon. Go for low mileage rides: Getting a low mileage car does not guarantee that it will be reliable for many more miles to come. In general, higher mileage cars have more problems. Get a used car report: The dealership should be able to produce a used car report, like a CARFAX, that will reveal the history of the vehicle. This isn’t foolproof though, unless the problem gets reported to the DMV or insurance company, it might not show up. Check your emotions at the door: Never let your emotions buy a car for you. 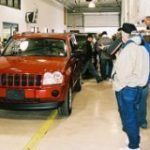 Use your common sense and research skills before buying a used car. Know your dealer: Unless you are completely out of options, it’s best to avoid the buy-here, pay-here places. Check with a certified dealer for the make you are looking for. Known the brand: Getting a poor quality car isn’t all about what the dealership didn’t tell you. Research brands for their longevity and reliability and shop for those.